It’s another morning and I have to go to the office as usual. But why didn’t she give me my morning cuppa tea? Yes, today’s paper is right here but who opened the obituary columns on page 8? What the hell, this is my picture in the Obituary column. But what is my photo doing here, I am alive and I called my wife. Nobody listened. Nobody came. What the hell’s going on? ‘Twitter’ is a famous and fantastic on-line podium which brings millions of people together on one platform. The main facility here is spontaneous human interaction and ‘freedom’ of speech. You can convey your feelings, pass comments on current events, convey discontent about the goings on around you and which affect you. You can make friends and follow people and lead by example to make others follow you. Twitter basically revolves around the principle of followers. In this social network, if you follow people, they follow you. Its’ reciprocal. Each and every tweet is different, with no language barrier whatsoever. Most of the tweets are in English though very few use their own dialect. The original product name for the service was twttr, inspired by Flickr. Set in the mountainous terrain, the plush green forests, tall trees, the cool breeze, dust free environment, flowers and their odour, the beautiful clean roads, the pollution free city – is Seattle. It is located between an inlet of the Pacific Ocean to the west called Puget Sound and Lake Washington to the east and is about 100 miles South of the Canada – United States border. It is the Headquarters of Microsoft and Boeing companies. The people there are well educated and the weather during August to October (summer and fall days) is the best in the year. The leaves on the trees turn from green to light yellow and then to brown after which they fall. 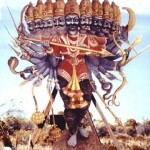 Dussehra is also called ‘Vijaidashmi’ and ‘Dus Hara’ meaning cutting of ten heads. Dussehra is observed all over India as well as Nepal. This festival has a significance of celeberating victory of Shakti over mahishasura and also that of Lord Ram over Ravana. The festivities are observed by aplying ‘Tilak’ on the forehead, payers, observance of religious rituals like burning Ravana effigyand keeping fast for eight days. It is a unique festival celebrated all over India for different reasons & with different ways of celebration. We all celebrate this festival to mark the victory of good over evil. This festival is mainly important to the Hindus and is celebrated for 10 days. 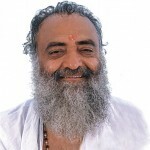 Bapuji had arrived in town and was at the Ashram. We reached the Ashram at 10.30 am and parked my car opposite the main gate under the trees and adjacent to the dried out bushes. This was the first time I had ever gone to this Ashram. It was a tin-top hanger type shed with a small house visible behind it and some portion was still under construction. All over the floor there were blue plastic sheets spread out for people to sit on. When we reached inside the ‘pandal’ there were around 100 people present. I got the ‘Darshan’ of Bapuji at 12.30pm, the sermon went on for about 2 hours followed by ‘prasad’ before dispersing. In this time of recession, the real estate market bubble has burst. Gone are the days when people used to invest some amount in plots, houses or flats and reaped a fairly good harvest in a short span of six months or a year. In India, today there are no buyers available. At the same time the sellers are not reducing the price of the property they are holding, hoping against hope that the prices would one day rise. But the prices have not risen in the past two years. I was looking for something and I stumbled on this site, and I know now that some people are deliberately writing against Sri Sri Ravishankar’s work Only they know how, why, by whom they have been motivated to do this? I have only one question to the people who are questioning the abilities of a Saint. What is their awareness level in the spiritual path? Have they achieved enlightenment in religion and have reached the highest echelon? If so, only then will I listen to their comments .